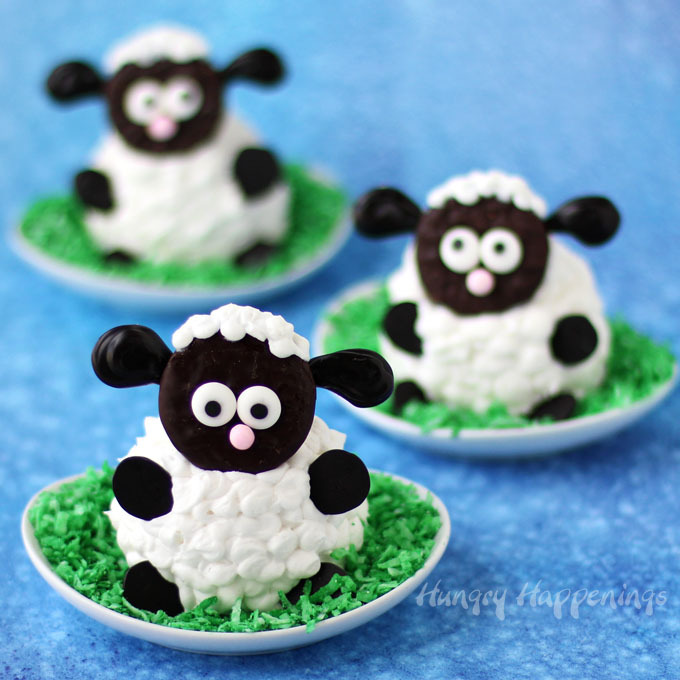 Easter treats that are almost too cute to eat? We love it! 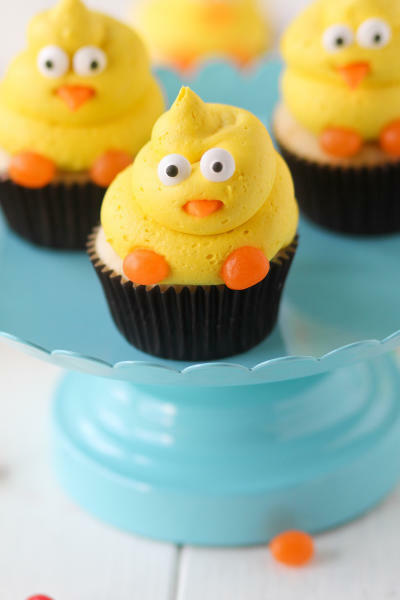 Check out some of these adorable ideas to fill your little chef's Easter basket this year. 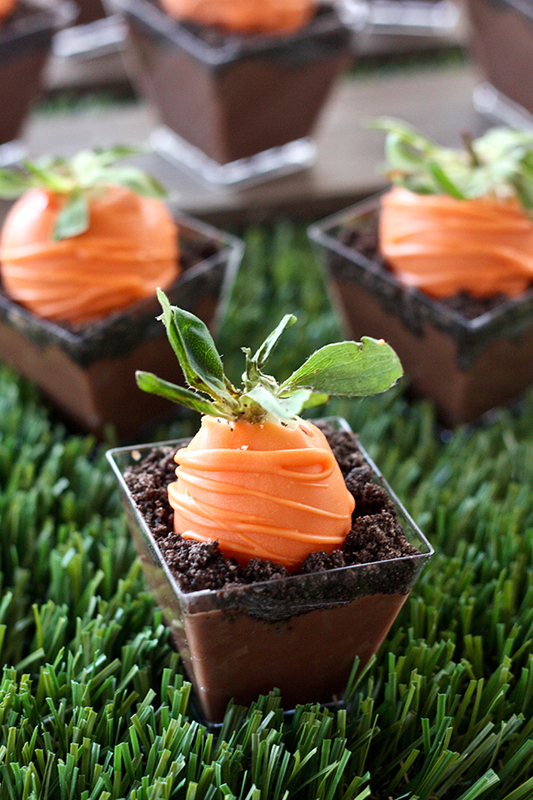 It's a variety of chocolaty, adorable ideas that are easy to pull off with huge results. So sweet! 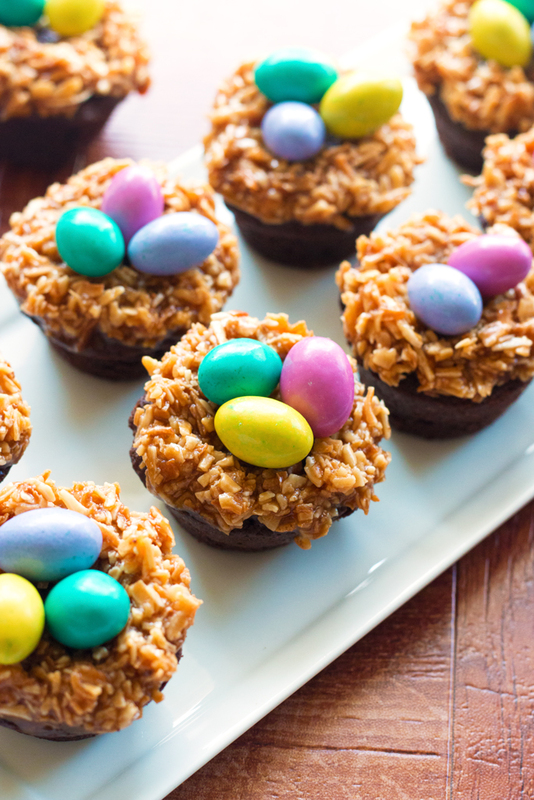 We like to make Easter goodies to bring our friends, and my helpers especially love the type that sort of "trick" the receiver. 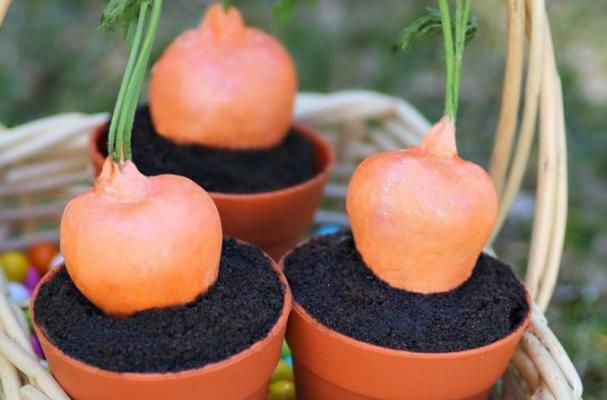 This first recipe has a secret ingredient that helps make each carrot. It evokes rounds of giggles every time we see them. How does a strawberry fit into the Easter scene? It gets dipped in candy melts and tastes heavenly. Enjoy! A wee little bird's nest sitting atop a moist, tasty brownie. What more could you want in your basket? Baby chicks just mean Easter around our farm. So sweet! The little googly eyes are to die for..